If you are arrested for DUI in California, can a prior DUI conviction from another state be held against you? The answer is, honestly, it depends. In most counties, your record will be reviewed and your prior, out-of-state DUI will be discovered. Orange County does a good job of discovering priors; Los Angeles has so many courts and cases, they may not have time to conduct a full background check on you. If you’re charged with driving under influence in southern California, even when a prosecutor uses your priors against you, an experienced California driving under influence defense attorney may be able to have your current charge reduced or dismissed. Should your case go to trial, a good DUI defense lawyer will fight aggressively for your acquittal. At your first court appearance on a California driving under influence charge, if you have a prior, out-of-state DUI that has not been discovered, it may be for one of several reasons. The prior conviction may be “hidden” for some legal reason. If you were a minor, or if the conviction is more than seven or ten years old, it may not be available to California authorities. 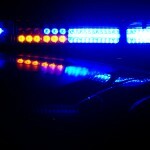 The other state may have different criminal and vehicle codes that California doesn’t recognize, or the prior in that state may have charged as a misdemeanor or as simply a traffic violation. It’s also possible the prosecutor simply hasn’t had the chance yet to review your file. 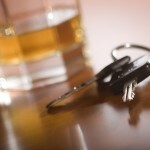 When you go to court, be sure you are accompanied by an experienced California DUI defense attorney. Before arriving in court – in fact, when you first speak with your lawyer – be certain to disclose all of your prior convictions (if any) to your attorney. 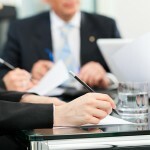 He or she needs to know your full legal record in order to defend you effectively. If you’re accused of DUI in California, whether or not you have prior DUI convictions in California or other states, get the help you need and speak right away with an experienced DUI defense attorney.